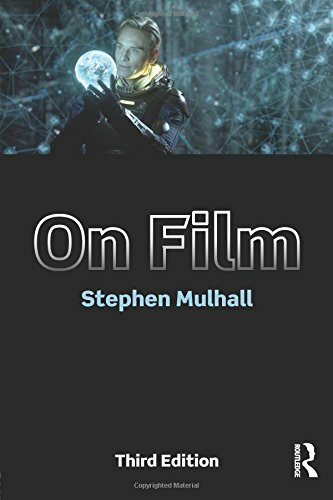 Description: The first edition of Stephen Mulhall's acclaimed On Film was a study of the four Alien films, and made the highly original and controversial argument that films themselves can philosophise. In its second edition, On Film increased its breadth and vision considerably to encompass films such as the Mission: Impossible series and Steven Spielberg's Minority Report. In this significantly expanded third edition Stephen Mulhall adds new chapters on the Jason Bourne films, the fourth Mission: Impossible movie, JJ Abrams' Star Trek and Star Trek: Into Darkness, and Ridley Scott's Prometheus (in which he returns to the Alien universe he created). In so doing, Mulhall reappraises in fascinating ways the central issues taken up in earlier editions of On Film: the genres of science fiction and thriller, the impact of digital as opposed to photographic modes of technology on the nature of cinema as a medium (and its relation to television), and the fate of sequeldom in mainstream contemporary cinema (with its emphasis on remakes, reboots and multi-media superhero franchises). 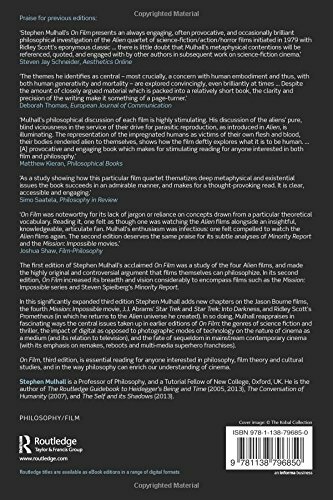 On Film, third edition is essential reading for anyone interested in philosophy, film theory and cultural studies, and in the way philosophy can enrich our understanding of cinema. Author Biography: Stephen Mulhall is a Professor of Philosophy, and a Tutorial Fellow of New College, Oxford, UK. He is the author of The Routledge Guidebook to Heidegger's Being and Time (2005, 2013), The Conversation of Humanity (2007), and The Self and its Shadows (2013).